Please pm me on advice if uneasy on posting advice. I have 12th row (close to dfc) for jimmy herring with McLaughlin. Jimmy is cool but we all know McLaughlin is a no. I have activates but my pmd 661 is too large for a wand. What is the smallest recorder with phantom power you would suggest? Are there any smaller rigs with quality sound equal to phantom powered mics that are a better option? Thanks for the advice guys I really want to tape this show. Please pm if concerned about posting recommendations. The babynbox is a great suggestion - thanks man. Any decks smaller or less obvious/metal than the r5 & m10? Naint IPA / PFA but the lead time might not work but its tiny. Consider some kind of iPhone (Android?) based system. I'm not sure what the hardware would look like, but probably quite a bit less bulky than a recorder. Figure out what the oldest model is you can use, and dedicate that with no service plan for it. Please. That is not the answer. How about a pair of DPA 4060 with the new d:vice directly into an iPhone ? that weren't too bad. Not close to the Schoeps, but beats any internal mics. Tech evolves, and once crapistic solutions sometimes become viable options. I expect the DPA system will be an perfectly acceptable answer in terms of sound quality, and should be easy to stealth. We'll find out once it is actually released. Not at all thrilled about the radial input configuration for pocket-ability reasons, but everything else looks good excellent for this application. As I posted in the dedicated thread about it, I'd be an early adopter if they made a 4 (or more) channel version, although I doubt that will happen. Personally I'd suggest buying an old iphone for use with it, dedicated to recording only. 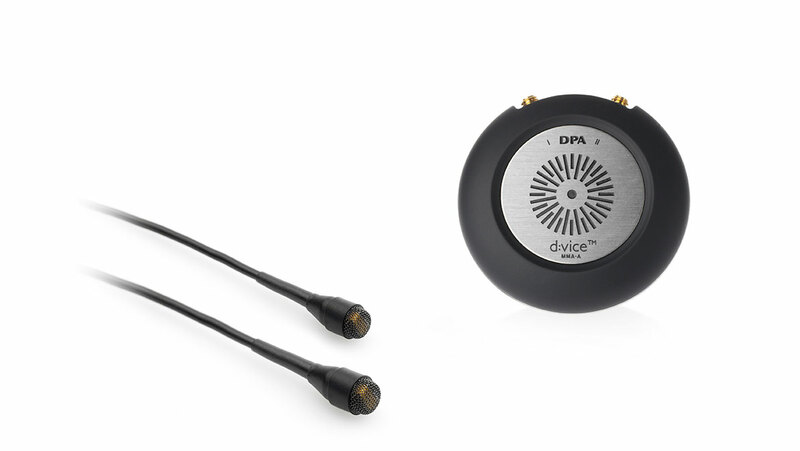 I was considering the new dpa d:vice preamp (2x2 inches) for dpa microdot mics. Why do you think this is a non starter? Also considering the mostly plastic babynbox with my actives and a small deck (down side no xlr inputs). Thanks guys getting ready for November herring and McLaughlin show. That dpa round thing will be a botch to with particularly if you don't go incognito much. You've got the mbhos and actives, add an IPA or baby nbox and m10 or other little deck and you're set. At least with dpa's the mics are good but I question the quality of analog to digital conversion quality in a phone. It is a marginal solution at best in my opinion and a small recorder is not that hard to get in. I'd also recommend this set up - has served me well when getting my rig past security has proved too much of a challenge. Customer service at Shure was fantastic when I had an issue with the app as well. I believe Jon at naiant can customize the IPA inputs for your mbho actives. Check out the IPA page at naiant.com. It is metal though so I wonder if the baby nbox is better for passing metal detectors?